Great news! Shaw Contract Group has returned to DOMOTEX after a long hiatus. They will be located within the CONTRACTWORLD forum in Hall 4 with award winning designs prominently displayed in their booth space. Shaw is interested and excited about networking with global buyers. Shaw will also be engaged in a panel discussion during which they will talk about their journey to sustainability and their commitment to Cradle-to-Cradle design. As a key component of DOMOTEX, CONTRACTWORLD is emerging as the largest forum for European architects, interior designers, and planners to share ideas, network with manufacturers and be exposed to new trends in their industry. As Jim Gould explains in his November 3rd, 2010 interview with TalkFloor's Dave Foster [link to MP3], CONTRACTWORLD will have a noticeable theme of environmental sustainability that will include special presentations and panel discussion with prominent architects and designers and leading global manufacturers. One of these manufacturers will be Shaw Contract Group. More information will be forthcoming regarding specific speakers at CONTRACTWORLD, but we are working on bringing in expert industry leaders in the Cradle to Cradle model. Stay tuned for new developments. In the meantime, take a look at this Forbes interview about designing Earth-Friendly products with William McDonough, renowned architect and creator with German chemist Dr. Michael Braungart of the philosophy of Cradle to Cradle Design. It explains the concept of C2C and how Shaw has taken huge leaps to improve production of their carpets while keeping the environment safe. 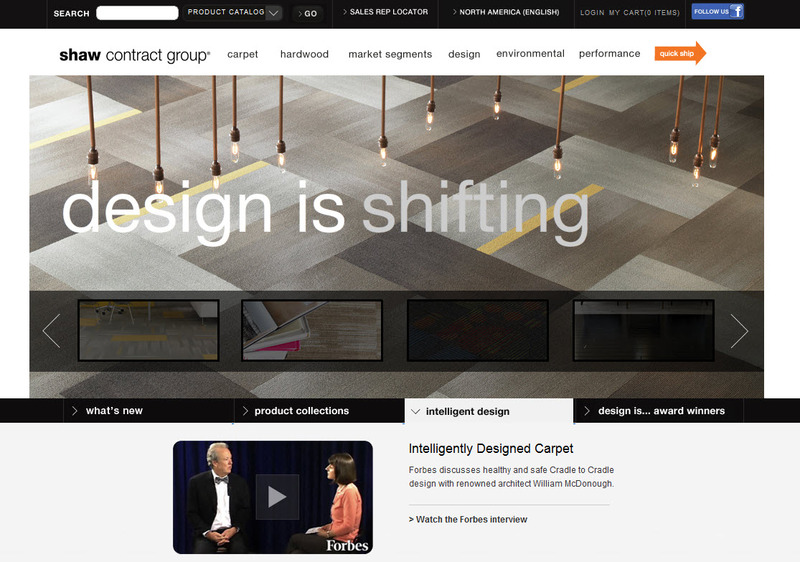 Welcome Shaw Contract Group to DOMOTEX and CONTRACTWORLD 2011! We look forward to learning more about sustainability and Cradle to Cradle design.